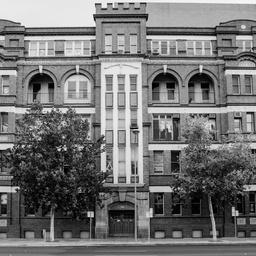 Greyscale digital photograph of the facade of Gawler Chambers, located on the south west corner of North Terrace and Gawler Place. 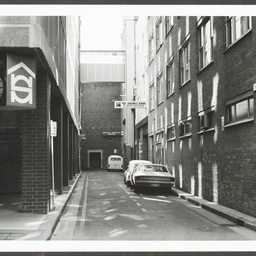 This was the site of the original SA Company premises. 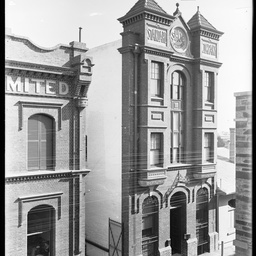 Gawler Place, west side, 29th March 1904.Near side of Standard Shoe Co. is 20 1/2 yards south of North Terrace. Far side of Matthew Goode's is 66 yards south of North Terrace. 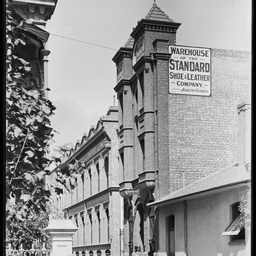 Near the corner stands the three storey red brick building housing Joseph Florey's warehouse for the Standard Shoe and Leather Company. Next to this stands Matthew Goode and Company softgoods wholesaler. 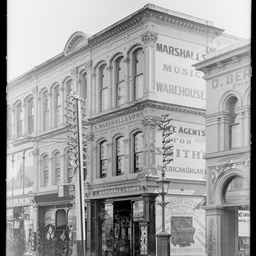 Gawler Place, west side, 30th April 1909. 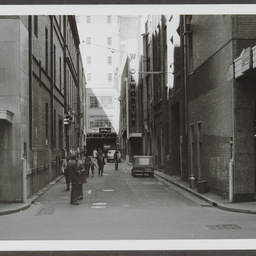 Far side of the Standard Shoe Co, is 20 1/2 yards south of North Terrace; its frontage is 9 1/2 yards. 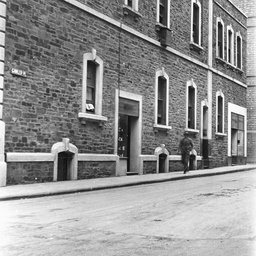 Part of the building housing Matthew Goode and Company can be seen next to Joseph Florey's Standard Shoe and Leather Company. 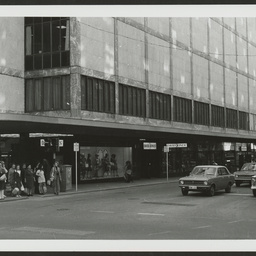 Gawler Place, west side looking south from North Terrace. 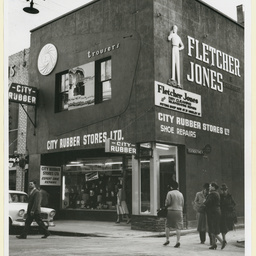 Near side of the Standard Shoe Co. is 20 1/2 yards south of North Terrace. See also B 7787 and B 7788. 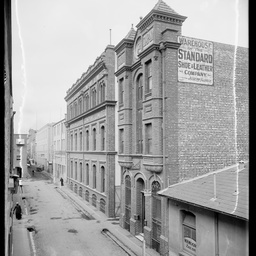 Matthew Goode and Company Building and the Standard Shoe Company both have three storeys. [General description] A row of two storey stone buildings with basements have recently had shop fronts installed. 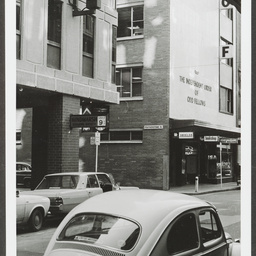 [On back of photograph] 'Acre 20 / Gawler Place. East side / October 11, 1927 / The two shop fronts were installed in 1926 and 1927. The near one is 12 yards south of North Terrace and the far one is 29 yards south of the Terrace.' (Another hand) 'See also B 4711'. 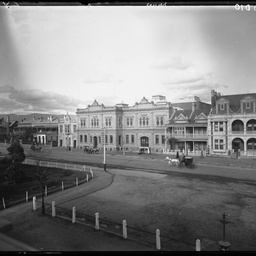 North Terrace east, July 1903. Right side of the two storey house on the right is 38 1/2 yards east of Gawler Place. 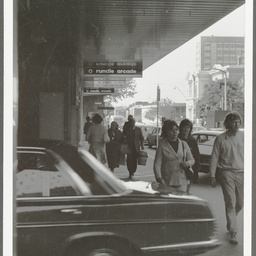 In the foreground of the photograph the gardens and driveway in front of the State Library of South Australia can be seen. The two and three storey buildings along the southern side of North Terrace form a pleasing streetscape. Pedestrians, horse and carriages are moving along the terrace. 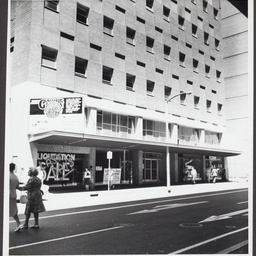 12-20 Gawler Place, east side, 30th December, frontage of building is 33 1/3 yards. 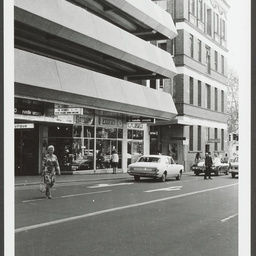 Rundle Street, north side, on left is Gawler Place. At number 54 on the corner stands D Chappell seller of stockings and corsets. 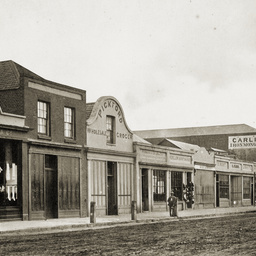 Further along is Pickford Wholesale Grocer, then Penman and Galbraith, then Dillon Bootmakers, S Hunt, J White and Carling Ironmonger. 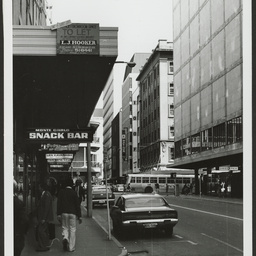 A horse and cart waits at the kerb of a muddy Rundle Street. 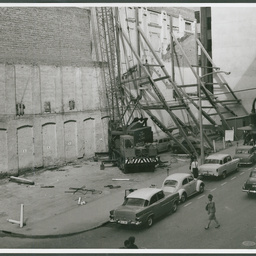 The extreme right of the picture is about 77 yards west of Charles Street. 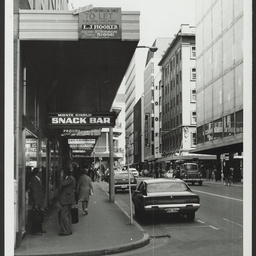 The one storey building on the extreme right is the King of Hanover Hotel. 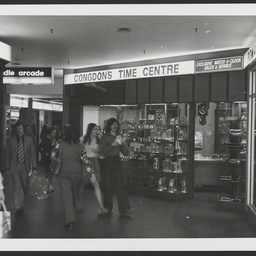 Rundle Street, the left side of the Elite Boot Co is 26 yards east of Gawler Place. 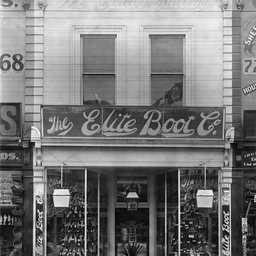 The Elite Boot Company has displays of ladies and men's shoes and boots in the display windows. 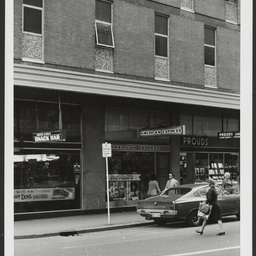 Rundle Street, frontage of Marshalls is 8.5 yards and frontage of Bible Depository is 6 yards. Samuel Marshall, born 1803 lived for 76 years. 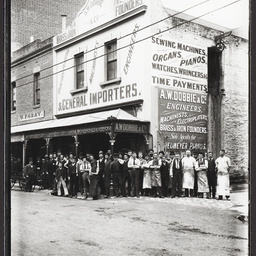 From 1863 - 1916 this firm occupied these presmises on the corner of Gawler Place and Rundle Street. 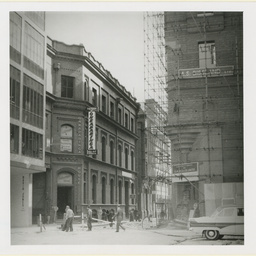 It has the distinction of being the oldest music warehouse in South Australia. 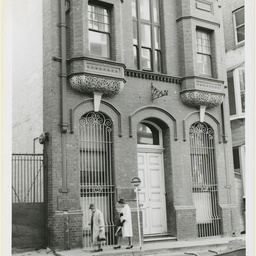 The founder of the firm was a shining example of the resourcefulness displayed by the first settlers. Mr Marshall built his own pianos and organs. 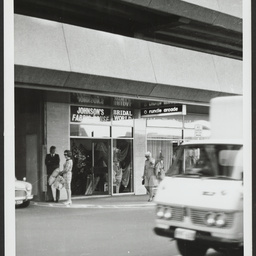 Gawler Place, West Side, showing David Jones. 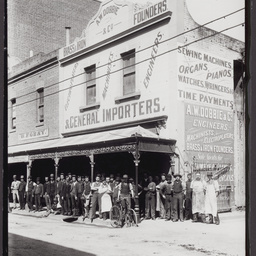 Rundle Street, south side, 26th July 1901. 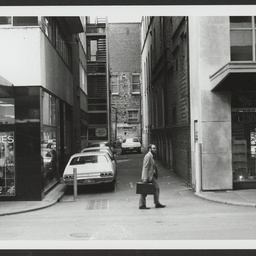 Near side of Griffith's building is 30 yards west of Gawler Place; its frontage is 12 yards. 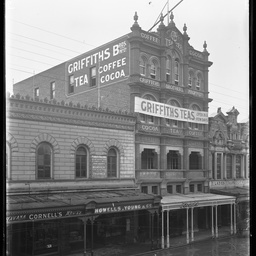 Griffiths Brothers Propriety Limited sell tea, coffee and cocoa from their four storey building. On one side of Griffiths stands Howell and Young Piano and Organ Sellers. Ladies Tailor City Shop stands on the other side. 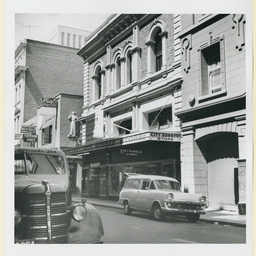 Gawler Place, west side, 29th July 1963.